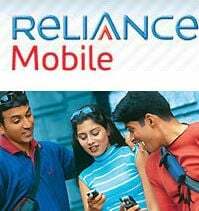 Reliance Communications today announced that it will roll out new innovative plan tagged as 'Simply Reliance' on October 6, 2009 on its CDMA and GSM networks. The Simpy Reliance Plan offers one single rate of 50 paise per minute across India covering 24,000 towns and 600,000 villages. The single rate of 50 paise per minute applies to all local calls,all STD calls and to any mobile CDMA or GSM or Landline from anywhere in India without any monthly charges for prepaid without any hidden charges or any conditions,whatsoever. To avail this Simply Reliance Plan, existing or new prepaid customers have to purchase one time special tariff voucher for Rs.48 to enjoy lifetime validity. Incidentally, most of the competitive tariff plans launched in the market recently, have not been offered to the post-paid customers in India. However, postpaid users too can now avail this Simply Reliance plan and enjoy the same single rate of 50 paise per min with monthly subscription fee of Rs.99. Commenting on the new ground-breaking initiative, Mr. Anil Dhirubhai Ambani, Chairman, Reliance Communications said,Reliance pioneered the mobile revolution making calls cheaper than a postcard in 2005. In another game changing move today, Reliance brings a billion Indians closer to each other, with one single rate for all local and STD calls, to any mobile or landline network, anytime, anywhere in India, without any conditions or restrictions.Once again, Reliance has set new standards, offering unbelievable and never-before savings to a billion Indians. With the Simply Reliance Plan, Reliance Communications offers seamless and unconditional benefits to all its existing customers, both prepaid and post-paid, as well as new customers waiting in the wings to join the Reliance family. There are no other terms or conditions or any fine print attached to this plan.